We’re coming home as a FAMILY OF FOUR! June Bug will forever be a part of our family! Fostering takes a bold and brave kind of faith. It’s not easy to welcome a little one into your family not knowing what a week, a month, or a year from now could look like. At least for me, I love easily and really deep. Maybe it’s because of my past and my compassionate heart. When we welcomed little June Bug into our family, there was no holding back how much I would show her love, tell her I love her, or allow my heart to feel love for her. She came to us on her sixth birthday as an emergency placement just days after she was diagnosed with Type One Diabetes. Without question we said yes and we brought her into our home, our family, and our hearts having no clue what her future would look like. We had no idea what long term plans or options were for her, but we still said yes knowing very well we could have to say goodbye. The funny thing is that over a year ago, we had made plans to move to Uganda THIS MONTH. 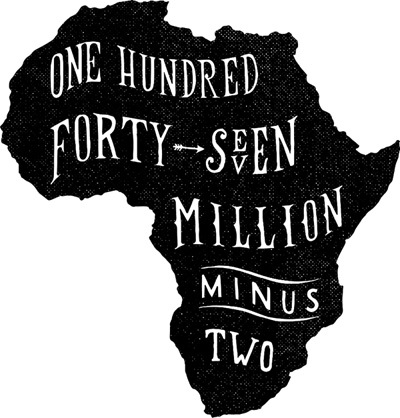 We would be getting on a plane right now with bags packed to move across the world and call Africa home. Our hearts were for fostering, adoption, and equipping families with skills to work in order to keep children in families. We wanted a home that could be a place of respite for kids that needed a temporary place to experience love and family until long term plans were made or they were able to be reunited with family. We wanted to use our gifts to teach men a trade, and what it looks like to lead their family financially and spiritually. After saying YES a year ago this month to adopting Ollie who at the time was extremely sick and needed medical care in the states, our plans of moving to Uganda changed because we thought he would have a child that would have disease for the rest of his life that was going to require frequent hospital stays. We were okay with God changing our plans, they just looked differently than what we had thought. As Ollie’s body was healed, mine started to fail and by the grace of God, my life was spared. God wasn’t done with this story. Now I have a disease I will live with every single day for the rest of my life. There is no cure, just a way to “manage” it. And folks, it’s a hard job to do it well. 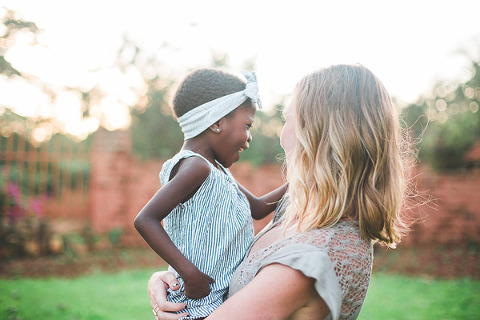 While we won’t be moving to Uganda permanently, I love that a little part of our dream for fostering came true while we’ve been here. After waking up in the ICU from a coma and to this new diagnosis, I cried and begged The Lord to reveal his purpose in this. I had never felt so confused. At that point it had been the hardest four months. I questioned if we were living outside His will. I wondered if all the trials were His way of saying “no”. I wondered if we’d ever bring Ollie home. I kept asking “What am I missing? Are you trying to make something so clear to me and I’m just not seeing it? Are you telling us to say goodbye and go home? Why is this so hard? Why is it taking so long? Where is the glory in this?” I had a million thoughts a minute and I couldn’t seem to process any of them or even verbalize what I was thinking. I don’t think my diagnosis would have been near as difficult if it wasn’t stacked on top of so many other trials we had experienced in this season. Suffering had a whole new meaning. But redemption also has a whole new meaning to me now. I pleaded with God to use this pain and to show me his purpose of my diagnosis on this side of heaven, although I knew well that maybe he wouldn’t. We’re not promised that. But I prayed for grace and a little glimpse of his glory. After the death of my sister, my mom constantly reminded me that God would use it for a grater purpose and to bring glory to him. Some things God did not reveal to me till years after her passing. I feared that I would go years before ever understanding why God allowed me to get Type One. I needed hope. What a gift that just barely two months after my diagnosis, June Bug came into the picture and suddenly it all made sense. The long and unexplained wait for Ollie’s process to finish was all because God wanted us here when June Bug would be diagnosed. God allowed my diagnosis, so that June would have a family that loves her and understands her disease. God took incredible pain and grief and made it new. He gave it meaning. His name was made greater and we know him in a deeper way because of it. Our hearts could not be more joyful to call her our daughter forever! Fast forward to now. We explored every option for June Bug. We truly wanted what was going to be best for her. We talked with social workers, doctors, lawyers, and countless people here and every single one of them said adoption is the absolute best option for her, and kind of the only option. Doctors have told us that she just can’t get the care here that she needs and that the life expectancy of a Type One in Uganda is extremely short. My heart sank. I envy all the parents in the states who can call up their endo when they have questions about their child’s care. We can’t do that here. Nor can we call 911 if something happens. And we’re three hours from the closest hospital that knows even the tiniest bit about type one. I live in a state of constant tension of trusting Jesus and knowing the reality of this disease. To make a REALLY long story short, we were at a dead end and our options were to either move here and foster her for three years before adopting her and returning to the states, or going home with Ollie and leaving her here. I couldn’t handle the idea of either option. The time that I’ve been in Uganda with Type One has been HARD and EXHAUSTING and full of a lot of fear and there’s just no way I could live here permanently. But then there’s just no way we could leave her here. Her precious life would end far too soon and the thought of that made me sick. We felt stuck and just kept praying for God to make it so clear what we were supposed to do and to open doors that needed to be open. After a month and a half of praying hard, begging for mercy for her, God opened a door and we just found out that WE GET TO ADOPT HER! Our sweet girl will get the best care in the states and she’ll always know the love of a family! So here’s where we’re at now…praise The Lord we are so close to finishing Ollie’s adoption to bring him home! But we’re essentially starting the whole process over again for June Bug. The amazing thing is that we have lawyers and doctors and the right people advocating on her behalf. People are working double time to get her paperwork complete and ready for court! We are in the process of getting several comprehensive exams and just about every test done under the sun, and specialists reports for her from several different hospitals in Kampala to attach to her case. These things will expedite her process since she’ll be considered a medically urgent case. We have a judge that knows her story and will take her case as soon as her paperwork is complete because of her medical condition. So right now, we are making sure all our documents are current, we have to do new medical exams here, get re-fingerprinted so they don’t expire, and some other things while June’s paperwork is finishing up! Our prayer is that we are all home as a family before Thanksgiving and we believe that is definitely possible! Sometime I get so frustrated that people weren’t advocating for Ollie when he was so sick in the way they are for June…but that’s how God intended it. Had we gone home months ago, June Bug never would have joined our family or had someone with knowledge to manage her T1D. We are exactly where God wants us to be and we wouldn’t have it any other way. Unfortunately, because Ollie and June Bug are not biological siblings and her case is totally separate, it is considered an entire new adoption. Meaning we have to pay FULL FEES (35K+) all over over again. Yeah, this makes me sick. AND I can’t come home without her because of her 24 hour care needed, meaning we have to come up with the money while I’m in Uganda, and in like a months time just like we did with Ollie. I had to just laugh because it’s almost comical. 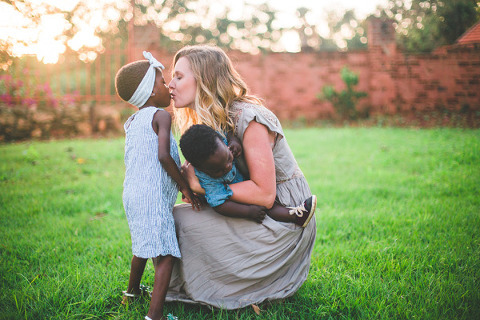 Money will never stop us from responding to the gospel and saying YES to adoption. We will owe all the money prior to going to court which could be in as early as one months time. So we’re getting really creative on things we can do/make/sell to help fund her adoption. Justin is planning to fly home to San Diego soon to work so we can create more product to sell to raise money for her adoption. Obviously it’s not ideal and I’m nervous about being here (with T1D) with two kids (one of which also had T1D). So it will be quite the adventure for us. As Justin creates more product at home, we will be posting that as it’s available! We have some ideas of ways to raise money to fund June Bug’s adoption and we will be sharing on Instagram (@graceandsalt) as those come up! The beauty of digital prints is that I can design them from anywhere in the world and anyone, anywhere can download them right to their computer. All our digital prints are ON SALE for $2 each! Buy one, two, or twenty, and you can print them at home or at a lab like Costco. This is such a great way for us to raise funds for the adoption since I am able to do this from Uganda. You can even purchase them from your phone and download the files later when you get to your computer! 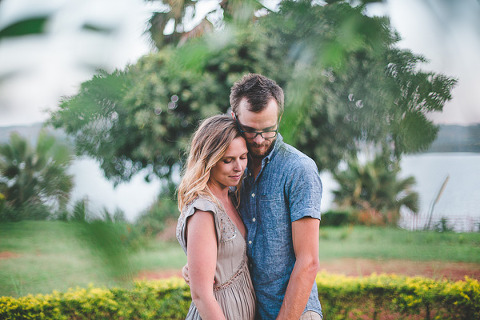 Since I will still be in Africa, I will continue to book mini photo sessions in Jinja and Kampala! If you’re interested, shoot me an e-mail: kearydee@me.com or message us from the contact button above. You can see our work [HERE]. We have created a new YouCaring site specifically for June’s adoption as a way for us to keep track of how far we’ve come! The site will reflect any donations made online as well as our etsy sales and others things we do like mini sessions and such to raise money. Each week we will total our online sales and update it so that everyone can see our progress! You guys have SO GRACIOUSLY AND SACRIFICIALLY given towards Ollie’s adoption, his medical expenses, tests, doctor visits, countless trips to Kampala to see doctors, Uganda living expenses, unexpected flights home when I was sick and Justin came back when I was in the ICU, when he flew back to Uganda, when we found out we’d be fostering June Bug, when I flew back to Uganda, social worker fees, paperwork fees, medical expenses and supplies for June’s T1D, I mean the list goes on and on. I am so incredibly overwhelmed at the way you have loved and supported our family this last year, especially through so many unexpected trials. Thank you does not do justice how our hearts feel of your generosity towards us. We are forever grateful! Living in Uganda for eight months now has been an incredible stretch for us and our faith has increased greatly as we have watched God provide in the most unexpected and dazzling ways. We feel crazy that we are doing all this again, but our hearts are to be willing to say YES to God’s plan no matter the cost or sacrifice. God has so beautifully brought June Bug into our family and we trust that he will continue to provide for her to come home! If each one of our Instagram followers donated $1, June’s adoption would be fully funded! Could you spare $1? Share with your friends and they could donate $1. -For endurance to run the race that is set before us. Some days our hearts are weary, and we need reminders that God is doing something so beautiful but it doesn’t always mean it’s easy. May we keep our eyes fixed on Jesus.